Back around the turn of the millennium, I was doing a lot of writing on freedom of information laws and other topics relating to governmental openness. About 2001, I learned that NATO was overhauling its fifty-year-old policy on the handling of information shared among NATO member countries. The work was being handled by a body called the Ad Hoc Working Group for the Fundamental Review of NATO Security Policy (AHWG-FRNSP). In 2002, I filed a FOIA request to the Department of Defense for documents relating to US participation in the AHWG. The request was largely denied, so I filed an appeal in April 2003. DoD’s decision wasn’t entirely surprising. The department had a problem. NATO’s security of information (SOI) policy was unclassified. 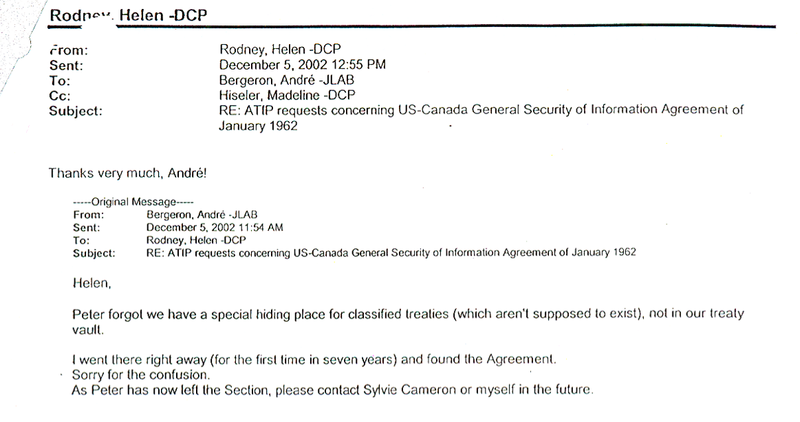 And I presume that most of the documents relating to US participation in the AHWG were unclassified. But NATO’s SOI policy prohibited the disclosure of any information about its policies and deliberations, unclassified or not. In short, there was a conflict between NATO policy and US law. DoD’s response to this conundrum was to delay responding to the appeal, as it engaged in consultations with Brussels. Months stretched into years. Periodically I would be asked if I still wanted a response, and I would always say yes. Earlier this year, I asked the new Office for Government Information Services for help in prodding DoD to respond. OGIS provided excellent service. 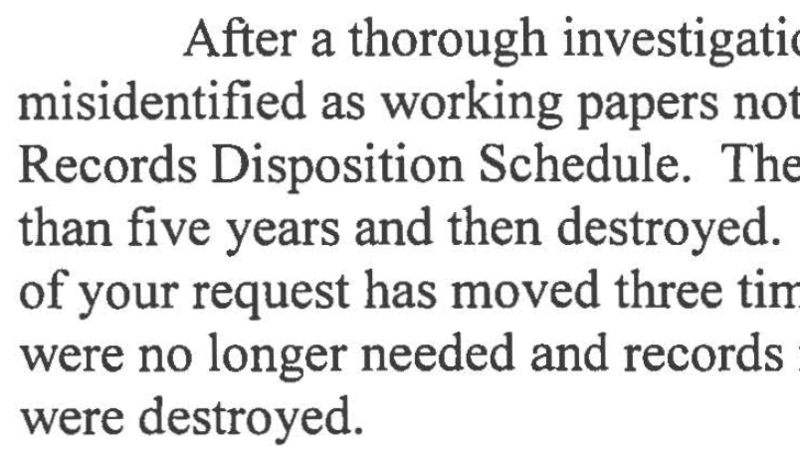 On October 25, 2013 — ten years and six months after my appeal was filed — DoD provided a response. Read it here. The short answer to my appeal? The records don’t exist any more. They have been destroyed. There should have been a duplicate set, but it was never produced. So I am out of luck. And for DoD, the conundrum is laid to rest. You can read more about NATO’s policy in this 2003 article from the Cornell International Law Journal. I also discuss it in my 2006 book, Blacked Out: Government Secrecy in the Information Age.